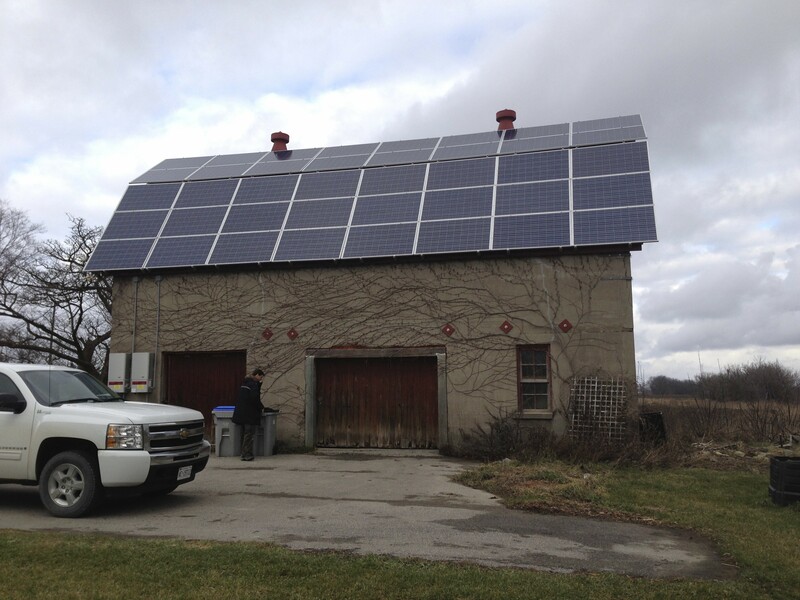 Concrete Barn with 10kw Solar, Microfit. 8×8 beams used for the solar awning. 5kw Net Metering. 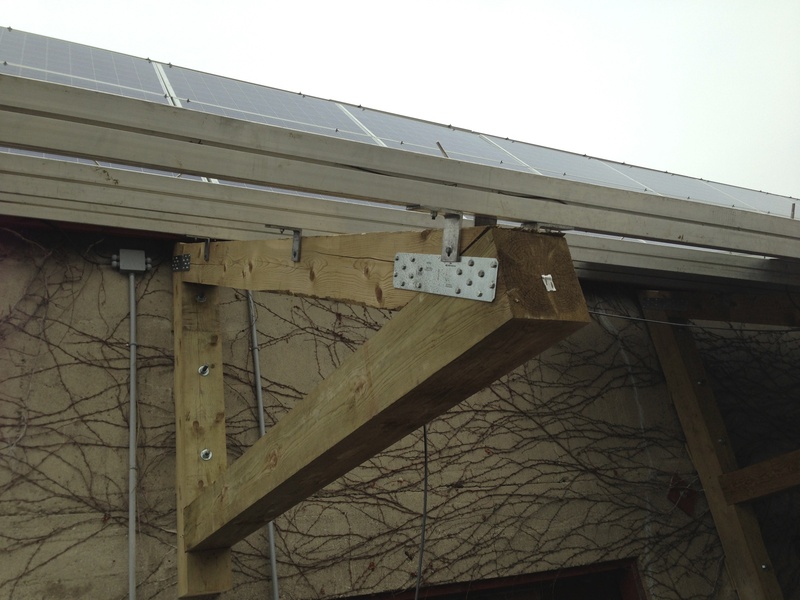 Awning structure for the Net Metering solar system. The finished project. 15kw of solar. 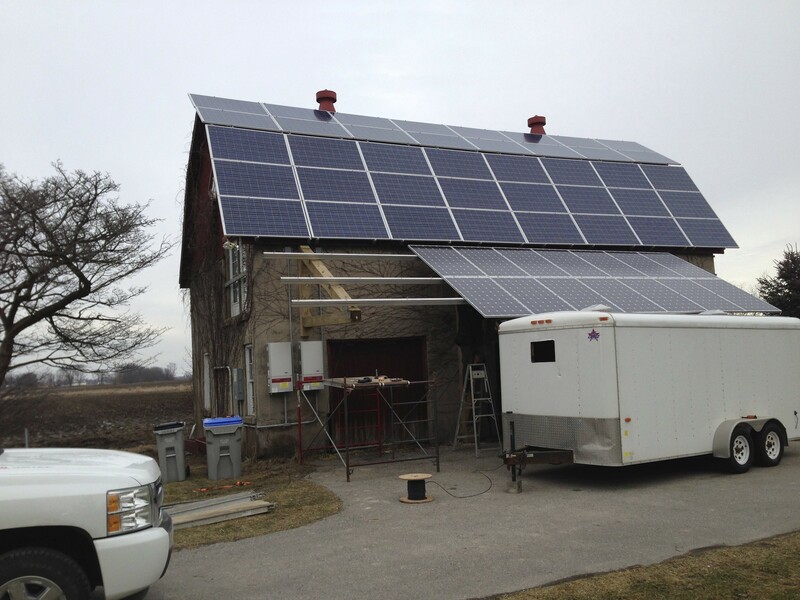 This customer installed both Microfit Old barn before awning solar panel systemand Net metering. We build the awning to match the style of the building. The awning is made from square cut 8×8 inch timbers. It is bolted to the wall. The upper roof it a 10 kilowatt Microfit system. The awning is a 5 kilowatt net metering system. There a two 5 kilowatt Fronius inverters. I like the look of a wrapped in panels roof. This roof is now protected from most of the rain that will fall and all of the snow. The snow will slide off these steep angles and start producing early in the solar season.